In Johannesburg, South Africa, a student tells her father she will be a graphic designer. She now has access to a whole new world of learning thanks to a computer and the internet in a Dell Solar Powered Learning Lab. Her father talks about how technology is changing the lives of his daughter and her peers, as he sits outside the new lab. He believes in his daughter. This father and his family are part of the 30 million South Africans who live in poverty. Sadly, children are most vulnerable to poverty. If children are poor, they are less likely to go to school. The youth then bear the burden of unemployment – they graduate from poverty as children into poverty as adults, with little to no skills or future. Dell has been playing its part to try and break this cycle through its Solar Powered Learning Labs. These labs are made possible by Dell’s Youth Learning program, which partners directly with non-profits to provide innovative technology solutions, charitable donations and expertise to address challenges faced by underprivileged youth around the world. 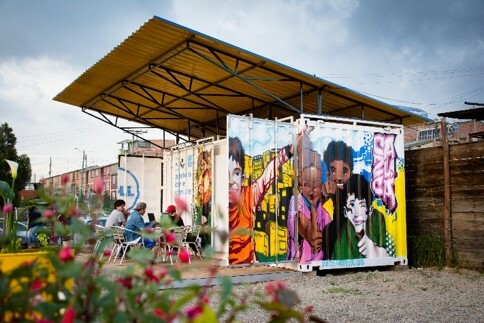 In 2014, the first Dell Solar Powered Learning Lab went live in Lagos, Nigeria. This fantastic initiative helps deliver sustainable and affordable connectivity to schools in some of the most underprivileged areas of the world. 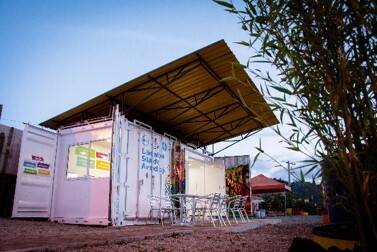 Using a combination of solar power, energy-efficient Dell Wyse technology and air-cooled servers, the labs are built into well-lit, well-ventilated shipping containers and help take electricity supply out of the equation while bringing internet connectivity into the heart of communities. This solution uses less than four percent of the energy of a typical PC. It’s a journey that began almost five years ago following one speculative email from a young man who had spent time traveling around Africa with his family and saw the poverty first-hand. He asked Dell to help. We did. Michael Collins, senior vice president of Dell EMC Channel EMEA, understood the issues and the limitations poverty can force upon young people, and wanted to make a difference. Together with other colleagues he helped bring the idea of the Solar Powered Learning Lab to the Dell Giving team, which leveraged its strong partnerships with nonprofits and nongovernmental organizations to make the labs a reality. Dell also built a lab in Colombia in 2016 and by mid-October this year, we opened two more labs in South Africa, bringing the total to 13 across Africa. Dell Solar Powered Learning Labs is an ongoing project, with plans for four more new labs early next year in Kenya, Morocco and Mexico. Mmatebogo Makhubedu, principal of the Diepsloot Secondary No.3 in South Africa, shared her perspective on the Dell Solar Powered Learning Lab that opened at her school a few months ago. I recently experienced our impact first-hand during my visit to the SHAWCO community center in Cape Town, South Africa. I met a young man named Evans and during a sharing session with the community, he talked about how he’d been teaching himself how to code – and how the Dell Solar Powered Learning Lab was helping him learn more. Evans has only one hand and despite his disability, he is a fast and passionate coder. Evans gained access to an apprenticeship with the help of Dell professionals that were inspired by his hard work. Dell pre-sales engineer Ruan Malherbe is a great example of an employee who has volunteered his time and expertise to help make our labs possible. 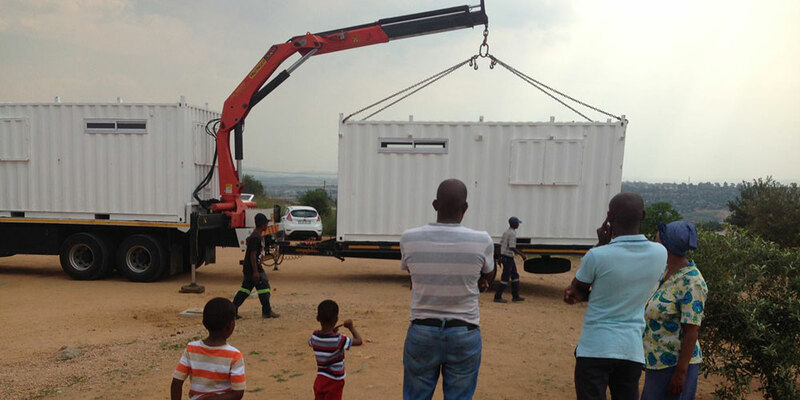 Malherbe helped install all 11 of our Dell Solar Powered Learning Labs in South Africa. He traveled during his personal time to do so – and used his IT skills to coordinate things like the hardware and software installations and testing. Malherbe also helped our partners understand the lab technology so they may manage it. I agree with him whole-heartedly! It is a great feeling. It’s a pleasure to be a part of the video featured below, highlighting the value our labs are providing around the world. For me, seeing the joy and the hope in these kids – when they access technology for the first time – reinforces my belief that in this world, we should give more than what we receive. Programs like the Dell Solar Powered Learning Labs reflect Dell’s DNA: To use our technology and expertise to enable human progress. This article shares one example of how Dell is committed to driving human progress by putting our technology and expertise to work where it can do the most good for people and the planet. We call this our Legacy of Good. Explore our FY17 Annual update on our 2020 Legacy of Good Plan at legacyodgood.dell.com.